This post was written at the request of Mary Finucane, a blogger I like rather a lot. Mary has been blogging at Disney Princess Recovery since she removed all Disney Princess branded items from her home, and has provoked many interesting conversations about marketing to children, among other things. Every so often, we really surprise people by not having a television. Technically, we’re not completely without one, as we have a special aerial thingy (that’s the technical term) that plugs into the computer. But it’s not plugged in all the time. You can’t just plonk down in front of the TV and watch it for hours. You have to actively want to watch something, and be willing to sit in an office chair to watch it. The same goes for our DVDs. So yeah, no TV. It is unusual but my husband and I both grew up without one, because of our religious backgrounds. When we got married, it felt like something worth continuing, both for ourselves and for the kids we were hoping to have. Maybe it’s because my exposure has been so minimal, but I get very drawn in to anything audiovisual. Even if it’s not very good. So I like to make an active choice about whether I’m going to watch something. I tend not to follow many shows at once. I avoid reality TV. At worst, I replace the time I would have spent watching TV on the internet, but at least that has the potential to be interactive. At best, I read, write, or do any number of better things in that time. As far as kids go, we never let our daughter watch anything at all until she was two, mainly because that’s what’s recommended for kids’ eyes. After that, we let her watch a little bit. Sesame Street podcasts were a real lifesaver on the bus. She got a Wiggles DVD as her reward for giving up her dummy (pacifier) and she collected a couple of others. But I was staggered at how well she knew all the popular characters without ever seeing them on TV. Dora, Ben 10, Barbie, Disney Princesses, Yo Gabba Gabba and more were all familiar faces. Children are marketers’ dreams; they absorb every instance of every brand. So I was pleased that we’d set things up so that it would be hard for her to get over-exposed. Now, she’s a savvy four-year-old. She can’t set up the TV, but she can put a DVD in the drive. She plays computer games that will supposedly teach her how to use a mouse and keyboard. So it seems more important to limit her screen time now. We don’t have a set time limit, but we try not to let her play or watch for too long on any given day (maybe half an hour to an hour at most), and we aim to have plenty of days with no screen time at all. In terms of content, we’ve been pretty laissez-faire. At her age, I think her body image will be more shaped by positive, healthy comments from her parents than by whether Barbie could physiologically exist. And I’m happy for her to explore all kinds of portrayals of women, as long as they’re positive in some way. So Barbie and Disney Princesses aren’t banned in our house (although they might be if she got too obsessed with them, like Mary had to do). We allow some branded toys in the house, but try to keep control of it. Being relaxed has led us to making some mistakes, though, like assuming that she’d be OK with Toy Story 3 because she enjoyed the previous two (it was scary and she was traumatised). I’m guessing that since your home is tv-free, you are likely a mindful consumer, more aware of internal vs. external influences. I think that is an incredible form of protection. I’m not sure if I’m quite living up to her expectation. I guess I try to be mindful without being extreme, but it doesn’t always work. The best I can say is that I’m actively parenting, trying not to repeat mistakes, and above all gauging what’s good by listening to my daughter and thinking about it and talking about it as a family. So far I think she has a healthy psyche, so I’m hopeful. Nothing in this post is new as such, but I’m hoping that it might be new for someone. If you don’t think cloth is for you; if you think I’m crazy or “too” concerned about the environment (is there such thing? ); if you don’t have kids but might in the future — just hear me out anyway. Give it a few minutes of thought. Because things have changed. Using cloth nappies (or diapers) is not as hard as it used to be. Really. There’s no soaking, no folding, no plastic pilchers, and a lot less leaking. The main reason why it’s so much easier is the materials used. Modern cloth nappies are made of bamboo or hemp (often organic, if that floats your boat) or microfleece; these are more absorbent and dry faster than the cotton squares that your parents may have used. They’re also shaped more like a disposable nappy and fasten with velcro or snaps, rather than dreaded safety pins. Wet bags contain the smell and eliminate the dangers of full nappy buckets for small, mobile children. Yes, there’s some extra washing, but it’s not as though you need to take them down to the river and scrub them by hand. If you use cloth full-time, you’re looking at three extra washes per week, max; some people run the nappies on a rinse cycle first before adding other clothes. The main benefits, apart from the obvious environmental ones, are a saving of thousands of dollars per child, and the elimination of some of the nasty chemicals used in disposables (eg, sodium polyacrylate [now banned from tampons] and various carcinogens such as dioxins). An appeal for some is how cute and colourful they are; so much nicer than being covered with the same generic cartoons every time. There’s a bewildering array of brands and styles that suit different needs and tastes, and that’s why trying before you buy makes sense. Many companies offer trial packs and there is even a nappy library. I’ve been availing myself of the latter (and have paid for the service, for anyone watching for conflicts of interest). I considered reviewing the brands I’ve tried so far, but decided it’s overload. Just ask me if you’re interested. Time to grow up, Australia! Apparently, what we really want from our leader is a bit of tough love. Someone who’ll do the right thing for the country (and world, in the case of climate politics) even if it hurts us a little. And because Rudd hasn’t don’t that, he’s become less popular. Instead of telling us that we can’t have any more lollies, he’s allowing us to keep the jar. Perhaps our whole model of politics is wrong. We don’t need one Prime Minister (or better yet, President); we need two: a soft one and a strict one. How many parents operate like this? As children, we want as much as a softer parent will allow us, but we know that the stricter one is right. Adding a new political role goes against my tendencies towards libertarianism and anarchy, but if my other ideas about politics were taken up (becoming republic, so we ditch the governor general; abolishing state government; dramatically reducing politicians’ paychecks and superannuation) it would more than balance out. Jokes aside, it is kind of sad that we can’t have a political system based on the opinions of mature adults. Instead, when we’re not being cynically manipulated for a politician’s career, we’re disappointed because we’re not being babysat enough. Can we just grow up and get on with it already? My son is nine weeks old now and I’m tired. I know that’s a given at this stage of life. But I have this persistent feeling that I should be getting more done. Life doesn’t stop when a baby’s born; there’s still a house to clean, bills to be paid, brains to stimulate (mine as well as his). The thought of getting him onto a routine seemed really attractive. I borrowed a suitable book from the library and started the mental preparation for it. There were lots of useful ideas in it, but I had some misgivings, mainly about the frequency of breastfeeds suggested for his age. The author also admitted that the book was based on her anecdotal findings rather than medical recommendations. So I decided to return to first principles and do some research. But it was initially difficult to find information on my specific question: How many feeds should a baby have in 24 hours? I found some interesting websites on evidence-based parenting and breastfeeding, and many interesting Cochrane reviews (current and planned). 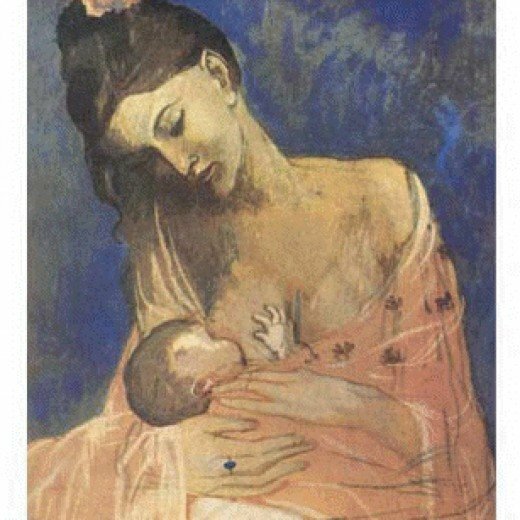 I got side-tracked by a feminist critique of expectations placed on mothers and the World Health Organization’s breastfeeding guidelines (despite the WHO not being in our best books right now, I was interested in how firm they were about not introducing solids before 6 months; no big pharma behind that one, surely). Still nothing concrete, although the WHO did recommend feeding “on demand”. But looking at the WHO site made me think more internationally. I wondered how women in other cultures feed their babies, and also how other mammals (especially our closest relatives, the chimpanzee) fed theirs. Then I found an anthropology on Google Books, Hunter-gatherer childhoods, with a lot of interesting info. Apparently, mammals that carry their infants with them also feed them more or less continuously; evolutionarily, humans fall into this category. Hunter-gatherer women follow this model, essentially practising attachment parenting — they feed their infants constantly, carry them most or all the time, and sleep with them at night. Like other continuous-feeding mammals, their milk is more dilute than spaced feeders like rabbits, which leave their young in a nest or burrow and feed them at intervals. Most women in developed countries feed more like rabbits than chimpanzees; for the most part, their babies seem to manage OK, but there’s no definite research into this. Certainly humans are very adaptive and the hunter-gatherer lifestyle can’t suit women who return to work, or who have limited support. Still, I think it’s valuable to try and match our lifestyle to our design as closely as possible. I’d be interested in research into how different feeding patterns can affect health later in life, as well as general infant wellbeing (we always hear that colic doesn’t exist in developing countries, for example).